Joel speaks as if he has never read the Bible, or at least not the parts that don’t pertain to wealth. He seems more concerned about promoting the pursuits of the greediest of all humans, American Cultural Christians, than reaching the lost. When I read Joel’s revelation that we should stop sacrificing our happiness for someone else’s, I felt sick at my stomach. Osteen has many followers who believe that if he says it, and Oprah endorses it, it must be true to God. Not so. Any teaching that tells recommends we focus more on pleasing ourselves than the needs of others is not the Gospel of Jesus Christ. It’s simply the definition of selfishness. When a young couple is struggling in marriage, I wonder what Joel’s advice would be. If you follow his warped, self-serving pattern of thought, you should just decide what sounds like more fun and go for it. If that woman (who is not your wife) entices you, go for it. If that bothers your wife, you’re not responsible for her happiness. That’s her problem right, Joel? When my wife was struggling with cancer, does Joel think it was easy for me to watch her suffer and die? If I had abandoned her because it was just too painful for me and didn’t make me happy, what would be wrong with that? After all, I’m not responsible for her happiness in Joel’s opinion. But according to Scripture, we are to live our lives as a sacrifice to others, not in daily indulgence toward our own personal happiness, disregarding the consequences for everyone else. Scripture never implies that we should pad our coffers with the all we can and watch the poor and needy die of starvation. In this world of the Internet, social media and social awareness, we know those kids are really out there. They’re suffering from disease and dying, and we can’t pretend they aren’t. And you became imitators of us and of the Lord, for you received the word in much affliction, with the joy of the Holy Spirit, so that you became an example to all the believers in Macedonia and in Achaia. It appears that God feels that personal affliction is not a bad thing if it forwards his Gospel like it did through the people of Thessalonica to those in Macedonia and Achaia. He never once asked them if they were pursuing happiness and avoiding the affliction. This would imply that perhaps happiness comes from carrying out God’s plan and the realization that God is on His throne. Not from pursuing our own selfish agendas. 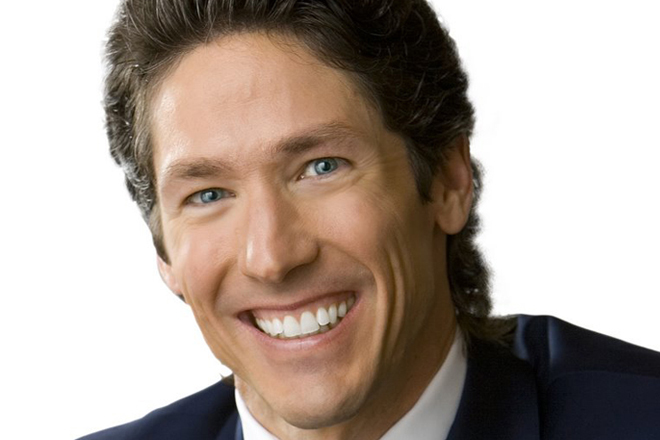 How have we gotten to the point where someone like Joel Osteen can expound garbage and hundreds of thousands blindly follow him on the broad road to wherever he’s going? Perhaps it’s because we have given up the tough road of following Christ for the easy road of being cultural Christians, since that means we just have to show up in church now and then, say the right things and not the wrong things, and live any way we want. Here’s the deal—Joel is wrong when he contradicts Scripture. And Scripture instructs us to daily take up our cross and follow Christ. Does that sound anything like what Osteen is saying? So . . . we must be talking about the Gospel according to Wealthy Americans, or according to Osteen, or something other than God’s Holy Word. Any Gospel that does not pertain to anyone but the wealthy is not God’s Gospel. I didn’t know God had written one just for us. Because in the countries I visit, the people don’t have the right or even the option of pursuing their dreams. And they certainly don’t have the right to wellbeing. That’s pretty difficult with Typhoid fever or Malaria eating away at your dehydrated body. Or do they suffer because they don’t have faith, Joel? But Joel says not to care about that. Don’t worry—be happy. No thanks Joel. I think when I stand before God He is not going to question me on why I didn’t spend more time making myself happy at the expense and abandon of others. Previous: CAN GOD’S ROAD BE FILLED WITH POTHOLES?